As a Mummy who loves all things fashionable, funky and useful, I love discovering companies who pride themselves on offering parents choice, functionality and value without scrimping on the style and fun aspect. Vertbaudet are a company who do just that. Before having Ethan I had never heard of them. I'm sure that's not surprising. It's possible even after having children you may not have heard about them!! I first heard about them from an on-line friend. She recommended their clothes saying they offered good value for money but were also stylish!! This is something I am always looking for as a Mum of a boy. All Mothers of boys know how much less choice there is for boys when it comes to clothes. Vertbaudet offer an excellent range of clothing from the more expensive to the budget end of the spectrum. In the past I have bought multi-packs of t-shirts, trousers and bodysuits from them. I always find the quality to be excellent. They wash very well. They have a wide variety of colours to choose from, not just the usual navy, white, red and green you get for boys in many shops (lots of pink and yellow!). They also have an excellent range of boys trousers from smart pairs with braces (so cute, I really want to get some for Ethan!) to combats and skinny jeans. They are great with versatility as well.. quite a few of their pairs of trousers are adjustable so they can be shorts, 3/4 length or full length. Very handy for the British summer - Ethan has several pairs! Clothing aside, Vertbaudet also have an extensive range of bedding, lighting, storage, furniture and more for bedrooms, nurseries and playrooms. I have never tried any of this before, but very recently I was lucky enough to be sent one of their linen baskets to review. Now.. stay with me!! I know.. a linen basket. How exciting can that be? But check it out! I know!! It's just like a washing machine! This is fantastic on so many levels. When it arrived Ethan was jumping up and down with excitement... He loves it. First and foremost, I can confirm after over a month of use it is very practical. A good size and shape, it doesn't get too full. It's just about right for us as a family of three (I have wash days twice a week). 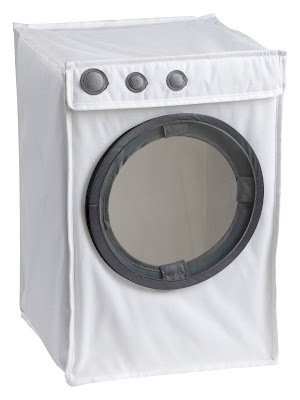 It has handles on the inside which make moving it about a breeze. Honestly, it's so much better (and safer) than the bag I was using before. Getting it up and downstairs is simple. There are two ways to get into it - they top lifts open and the "porthole" as they call it at Vertbaudet opens at the front - it's held on by velcro. This is the bit Ethan loves. He's enjoyed "helping" me with chores and housework for a while now, but helping with the washing is now is favourite thing. 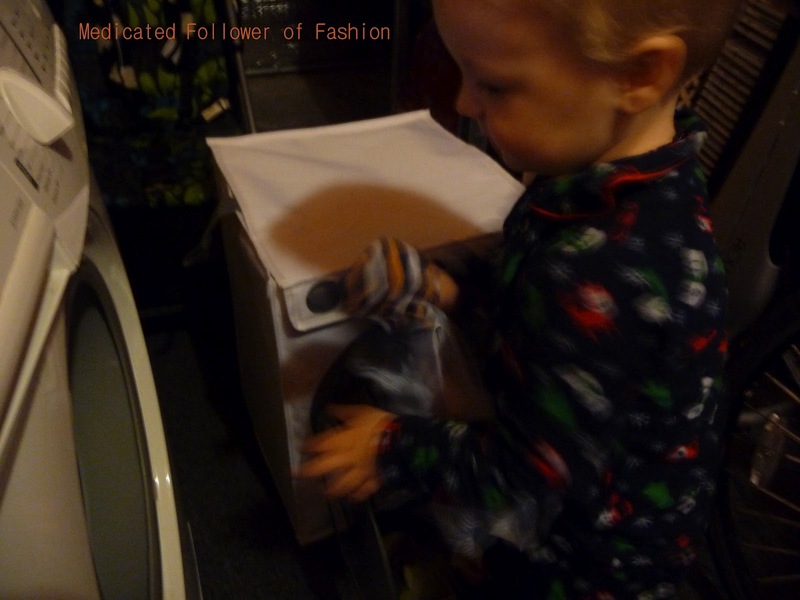 When I've brought the basket downstairs he loves to open up the porthole and unload the dirty washing from there and load it into our washing machine. Once the washing is clean, I bung it back in the basket and take it upstairs to hang in the airing cupboard and on the clothes horse. Whilst I'm doing this, Ethan likes to get inside the linen basket with a couple of toys and pretend they and he are going "round and round in the washing machine". I never thought I could get so excited about a linen basket, but honestly, Ethan and I really love this. It's such a lovely fun twist on something that is normally so boring. Go out and buy one now I say... Actually, you don't have to go out at all, just head over the the Vertbaudet website and order one! "Clever and fun! Porthole with self-fastening tabs. Handles. Sturdy, lightweight polyester with cardboard-reinforced sides. Self-assembly. Delivered flat. Size (h x l x d): 50x35x35cm. Surface wipes clean with a damp cloth."